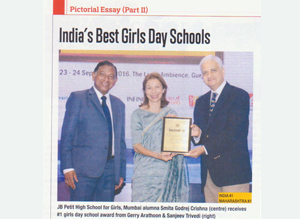 Education World, October 2016 Issue. 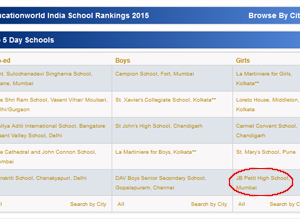 This year the seating arrangement at the Top 10 table is radically different. 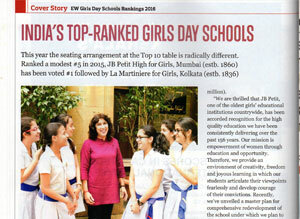 Ranked a modest #5 in 2015, JB Petit High School for Girls, Mumbai (estb.1860) has been voted #1 followed by La Martiniere for Girls, Kolkata (estb. 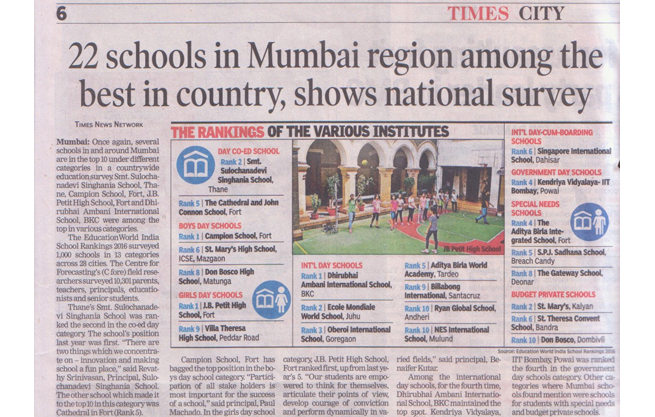 1836). 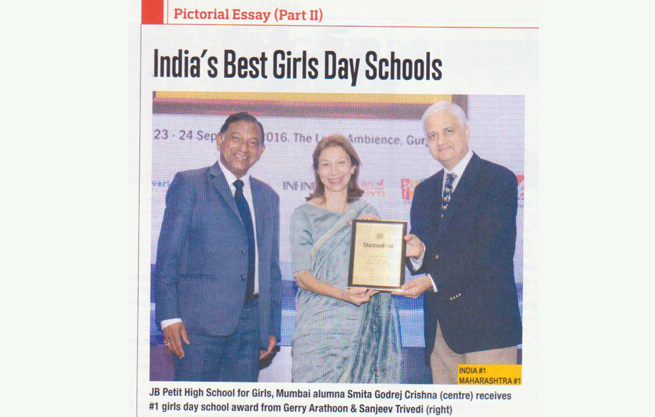 In an article published in the Times of India on Friday 9th September 2016, "JB has been ranked as No. 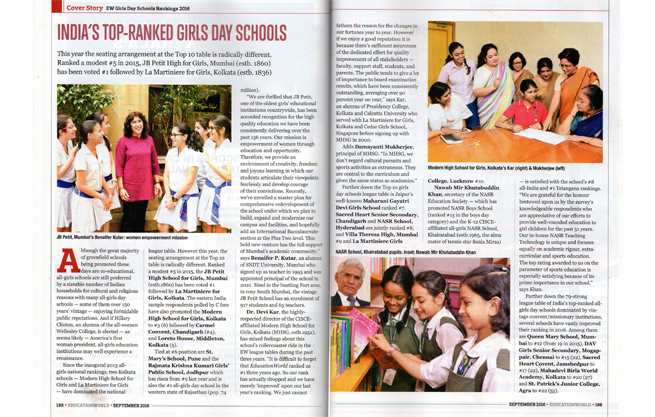 1, Girl's Day School in the Country by a nationwide educational survey." 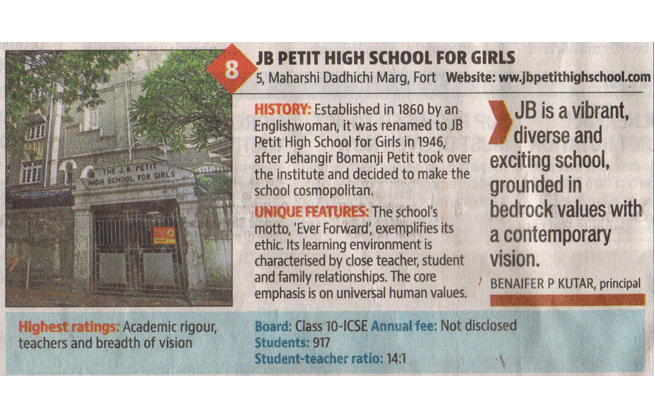 J.B. Petit has consistently ranked among the top schools in the country. 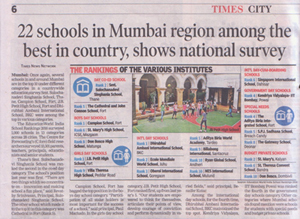 Education World’s July 2016 issue has ranked our school among the top ten schools in a list of India’s Top 100 CISCE and CBSE schools on the basis of highest average and median scores in the recently concluded Board exams. 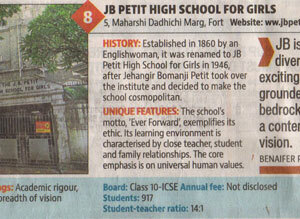 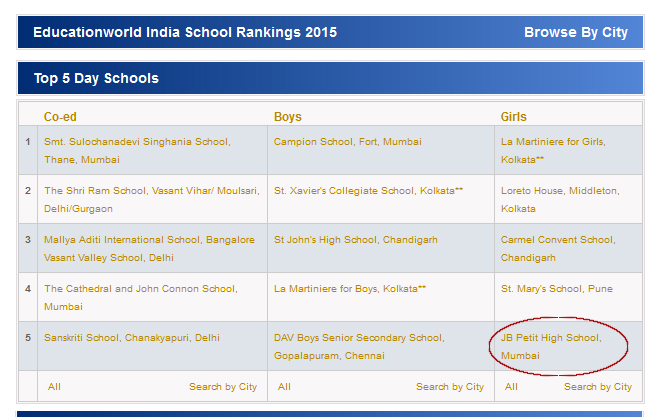 J.B. Petit has been ranked 1st among all girls school in Mumbai, the 2nd ranked school in the State and the 5th ranked girl’s school nationally.